(CBS/AP) JACKSON, Miss. - The family of a black Mississippi man allegedly killed by a white teenager in what authorities have labeled a hate crime is asking prosecutors not to pursue the death penalty against anyone accused. 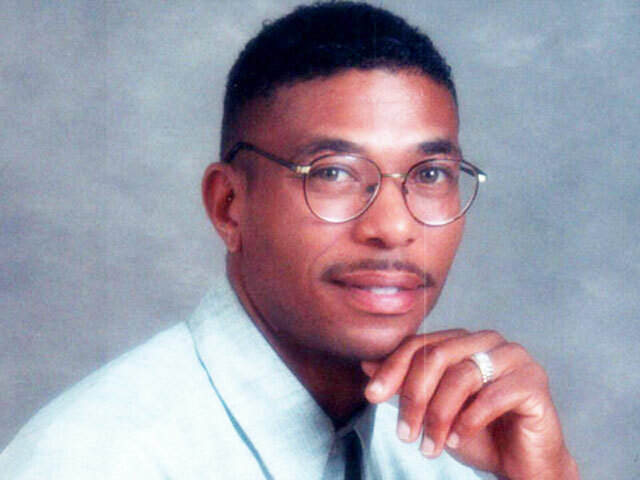 Authorities say James Craig Anderson, 49, was targeted because of his race and run over in Jackson, Miss. by a white teenager in a pickup truck on June 26. His death was captured on a hotel surveillance video and sparked anger across the country when the footage was made public. Nineteen-year-old Deryl Dedmon was arrested for Anderson's death on a charge of capital murder, which is punishable by death or life without parole. He has not been indicted and it will be up to a grand jury to decide on the formal charges. Capital murder in Mississippi is defined as a murder that happens during the commission of another felony. The underlying offense in this case is the alleged robbery of Anderson. Anderson's sister, Barbara Anderson Young, has written to Hinds County District Attorney Robert Shuler Smith saying her family doesn't want anyone to face the death penalty. She cited the family's Christian beliefs and opposition to capital punishment. "Those responsible for James' death not only ended the life of a talented and wonderful man," says her letter, dated Tuesday. "They also have caused our family unspeakable pain and grief. But our loss will not be lessened by the state taking the life of another." Smith told The Associated Press on Wednesday that the family's wishes are "a very strong consideration that will weigh heavily in our decision." Young wrote in the letter that it speaks for her, her mother and two brothers. "We also oppose the death penalty because it historically has been used in Mississippi and the South primarily against people of color for killing whites. Executing James' killers will not help balance the scales. But sparing them may help to spark a dialogue that one day will lead to the elimination of capital punishment," the letter says. Police say that Dedmon and a group of teens had been partying late that night in suburban Rankin County when he asked a group of them to go out looking for a black man to "mess with." Seven people allegedly loaded up in two cars and headed to Jackson. Investigators say Dedmon and John Aaron Rice attacked Anderson before Dedmon climbed into a green Ford F-250 with two teenage girls and ran Anderson down. The young men's lawyers say their clients were not involved in a racially motivated attack. Dedmon's attorney has said it was an accident. Rice's lawyer, Samuel Martin, has said Rice was actually trying to help Anderson, who had locked his keys in his car, before Dedmon arrived.